The Nomination Joy Charm 030107/05 is hand-made in Italy using stainless steel and 18ct gold. This is a fantastic little charm for those who have a reason to celebrate. Guaranteed to please, this charm will definitely become a firm favourite! Create your own unique look every time with Nomination composable charms. https://www.johngreed.com/nomination-stainless-steel-and-18ct-gold-joy-classic-charm 126480 Stainless Steel and 18ct Gold Joy Classic Charm https://www.johngreed.com/media/catalog/product/b/t/bt4389_0_2.jpg 18 18 GBP OutOfStock /Women /Women/Gifts/Occasions/Graduation Gifts /Women/Gifts/Occasions/New Baby & Christening Gifts /Women/Charms /Women/Brands/Nomination /Women/Brands/Nomination/Nomination Charms /Women/Gifts/Occasions/Christmas Gifts /Women/Gold Jewellery /Women/Spring Sale /Women/Gifts /Women/Gifts/Occasions /Women/Brands The Nomination Joy Charm 030107/05 is hand-made in Italy using stainless steel and 18ct gold. This is a fantastic little charm for those who have a reason to celebrate. Guaranteed to please, this charm will definitely become a firm favourite! 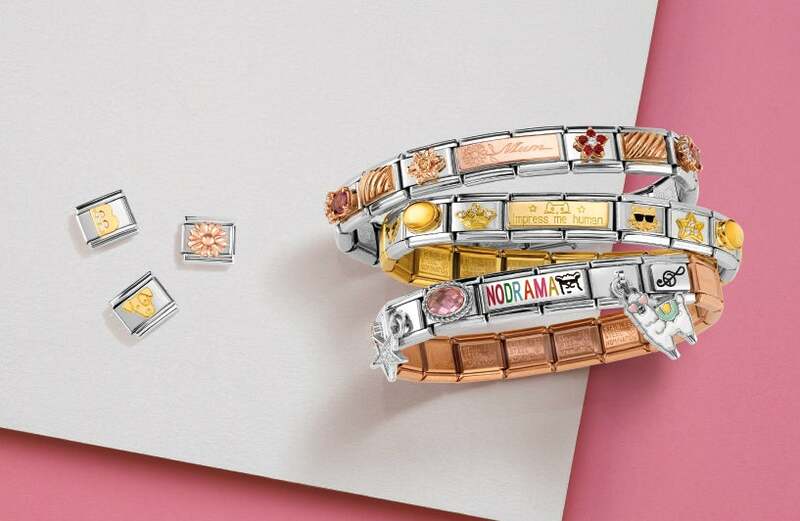 Create your own unique look every time with Nomination composable charms.